This year, Open Education Week(OEWeek) had 6,494 participants, from 123 countries, using 18 languages. 43 countries held a total of 190 events: 81 local, 109 online, 73 resources shared, (to find out more, check out this wonderful OEWeek Summary infographic) and once again, CCCOER member colleges were well represented. Events were either geared towards faculty and staff or students. Events geared towards students were generally in-person, on-campus events. Faculty and staff enticed students with cookies, cake, or giveaways, and then educated them about OER, or asked them how much they spent on textbooks and what they would spend that money on if they didn’t have to buy expensive textbooks. Faculty events were a mix of online and in-person events, and the subjects ranged from introductory sessions on creative commons and OER, to sharing the OER work already being done on campus, to encouraging faculty to openly license works they have created and sharing them with the community. Several colleges also used OEWeek as an opportunity to share resources they have created, such as websites, blog posts, and of course, OER! 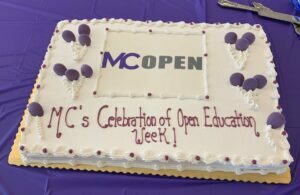 Events varied, but one common theme was OER-inspired cake and cookies, making OEWeek even sweeter. Each day of Open Education Week 2019 the Affordable Learning Georgia newsletter announced newly-created OER within their GALILEO Open Learning Materials repository. The new OER was announced via a newsletter and their twitter. Visit the links below to read the newsletters announcing each new OER. Colorado Community College System is one of our newest members, and the Colorado OER Council celebrated its first OEWeek with a week of programming to raise awareness about the movement and its impact on teaching and learning worldwide. Click on the links below to view the archives or download this flyer for more details. OpenCSCU (https://cscu.libguides.com/) is a support site for faculty who are interested in searching for or adopting OER. The site was developed by a group of Librarians in the CSCU system (both Community College and State University) and includes a chat function so that faculty can ask a Librarian who is monitoring the chat service for assistance. They opened up the chat service for one day on Monday, March 4th so that anyone interested in OER throughout the country could participate in the chat. The chat is now closed, but you can still use the site get tips to find or create OER, and read about OER use across CSCU. 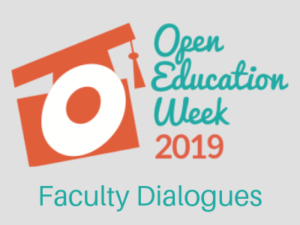 To celebrate Open Education Week, CCCOER held five Faculty Dialogues, where two to three faculty in a specific discipline discussed the intricacies of teaching OER in that subject and answered audience questions. We heard from faculty who teach Sociology, Administration of Justice, English, Philosophy, and Mathematics. How they were first introduced to OER, and what made them decide to use it. What the process of adopting OER was like and what challenges they encountered. How OER has changed the way they teach.Any assessments they have done regarding student success rates, and how their students have responded to OER. If they are going to continue using OER, and if so, any changes they are considering implementing to improve the course. FSCJ held both in-person and online events for faculty and students. On Monday they held Kickoff Parties in the library and learning commons on several different campuses. 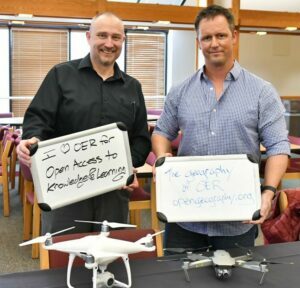 Students joined FSCJ library faculty and staff for information on OER Degree Pathways, or if they are already familiar with OER, they could write “Thank You” notes to faculty who have participated in creating an OER course. Faculty visited with their fellow library faculty and staff for information on how they can help reduce the cost of textbooks to students by using library services, web-based resources, textbook repositories, and ancillary systems that are built using OER. Cake and other refreshments were also served. Faculty were invited to connect virtually by attending Spotlight Webinars for Faculty. In this series of live-streamed webinars, faculty described their OER course design and provided a brief course tour. In a webinar, “State of OER at Houston Community College(HCC),” attendees got an overview of OER at HCC, including a conversation with five full-time faculty who have used, developed, and adapted OER for their courses. Faculty from History, English, Economics, Biology, and Philosophy were featured. They talked about the institution-wide efforts around the Z-Degree and about challenges and opportunities for the future. HCC also shared a resource on the OEWeek website, A Road Less Traveled: One Historian’s Reference Guide To Our Story by Jim Ross-Nazzal, PhD. A Road Less Traveled is an Open Book which includes essays by students who wrote short history essays using nothing but OER sources. Students were tasked with researching and writing brief biographies of lesser-known (and in some cases unknown) figures in history. Students have said that they do not feel a connection to the elite voices. They want to hear from “the man on the street.” Then the essays were edited as necessary, and all or parts of those essays were added to an OER reference guide Dr. Ross-Nazzal has been drafting thus creating a collaborative, faculty-student, resource. In the field of communication, Ivy Tech has developed two OER resources that have saved students more than two million dollars in the past three years! They shared one of these resources on the OEWeek website, Introduction to Public Communication, developed by the Department of Communication, Indiana State University. 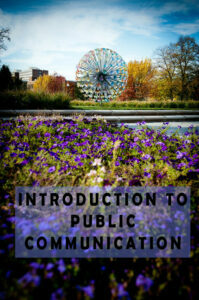 Introduction to Public Communication is an open textbook created specifically for ISU’s COMM 101 course. A guiding team of Communication instructors compiled content from other open sources and wrote original content to complete this text. 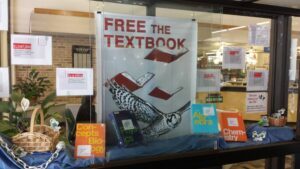 On Tuesday and Wednesday of Open Education Week, Lake Tahoe Community College had a table in their Commons to educate students on OER. They had snacks to draw students in, and to incentivize student participation in their survey (http://bit.ly/LTCCoersurvey), they raffled off bookstore gift cards. 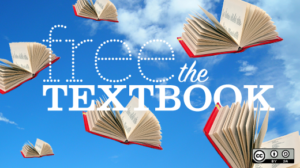 The hope is the data from the survey (which itself was based on the Florida student textbook survey) will help encourage more faculty to go with Zero Textbook Cost (ZTC) resources. Join us to discuss the Tim D. Green and Abbie H. Brown book, The Educator’s Guide To Producing New Media and Open Educational Resources. Topics will include producing and distributing digital video, audio, and text files to be used as Open Education Resources. Come and get hands-on, practical instruction in various formats and media. Description: Faculty and staff can visit the Distance Learning Department to learn and discuss the Creative Commons licenses while enjoying a Creative Commons cupcake. Come find out what OERs are and how they can be used to benefit you and your students. We will show you practical examples that can be immediately incorporated into your courses. We will also go into detail on how to navigate some of the repositories out there that house the millions of resources you can take advantage of. On Tuesday, Wednesday, and Thursday they met in open spaces like the foyer outside the cafeteria on all three of their campuses. They had a cake which they sliced up for the students who were dropping by to learn more about OER and Z courses. On display they had a large poster depicting the success Montgomery College(MC) has had in the “open” field, as well as MC Open brochures, and MC Open packets of eyeglass wipes. They also played a looping video of student testimonials on Z courses and OER. These events were a success and MC made many converts on these three days and was able to explain what “Open” means to many who had never heard of the term(s). In addition, Shinta Hernandez, Department Chair of Sociology, Anthropology, and Criminal Justice, presented on the United Nations Sustainable Development Goals Open Pedagogy Faculty Fellowship as part of the Open Pedagogy Webinar Series offered by the Open Education Consortium and the SUNY Faculty Advisory Council on Teaching and Technology. Her slides are available. 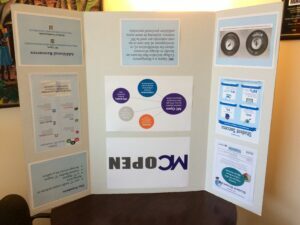 Learn about a Montgomery College fellowship in which faculty created renewable assignments that required their students to become agents of change in the community. The renewable assignments created by faculty fellows required that students tackle a United Nations Sustainable Development Goal (SDG) through their open pedagogy coursework. There were 15 faculty fellows grouped into seven teams across 12 disciplines and three campuses. The open pedagogy assignments were deployed in 16 different courses and 25 sections across the College. Through this Fall 2018 fellowship, 571 students were impacted by this groundbreaking and transformative work. The MHCC Student Government along with the Textbook Affordability Team and Teacher Learning Center held events on Tuesday and Thursday of the official Open Ed Week. On Tuesday there was a keynote as well as resource tables in the Student Union of the MHCC Gresham Campus from 11-2. On Thursday there was a Student panel in the Teacher Learning center from 12-1. Throughout the entire week, they had many student testimonies on the school’s social media pages. 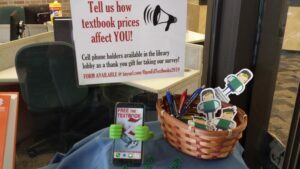 Northwestern Michigan College had a table in the library lobby with laptops for students to fill out a Google form to share how the cost of textbooks affects them. 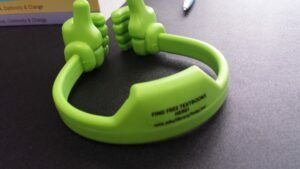 They got a “thumbs-up” phone holder as a thank-you gift. 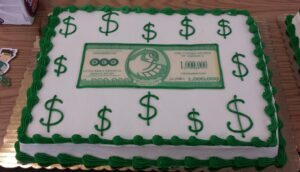 The also celebrated going over the $1 million mark in student savings so they had “Million Dollar Cake” on Thursday and gave all of our Textbook Heroes a million dollar mug and a gift certificate for a free cup of coffee. NOVA Online celebrated Open Education Week with a webinar about student learning and OER use at Northern Virginia Community College (NOVA). They heard what students think about OER, how students use OER, and what students want from OER as Kim Grewe presented her recently published dissertation research on student OER use and learning at NOVA. 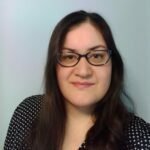 Megan Dempsey wrote a series of blog posts for the Evelyn S. Field Library Blog about what they’ve been doing at RVCC. During the Summer and Fall 2018 semesters, RVCC students saved just over $93,000 by enrolling in courses with zero-textbook costs. These z-courses provide students with course materials from the first day of class that are available to them at no cost online or through Canvas. 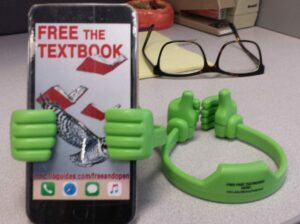 The faculty teaching these courses have adopted Open Educational Resources or selected other “free-to-student” materials in lieu of assigning a commercially published textbook. Not only are OER easy to access from the first day of classes due to their free availability online, but OER are also Accessible with a capital A. Because of their digital nature, well-designed OER often have accessibility features that make them easier to use for students that require accommodations in course materials. Salt Lake Community College, celebrated Open Education week with one or more scheduled activities each day. Day one: asked the community to visit OPEN SLCC faculty authored projects hosted on the Salt Lake Community College Library’s Digital Archives OPEN SLCC page. Day two: offered Testing for Accessibility in OERs training, presented by Clint Stoker. They also invited faculty to participate in CCCOER’s Open Education Week Faculty Dialog Series: Administration of Justice featuring SLCC’s Julia Ellis Program Manager, Faculty Liaison & Adjunct Faculty member for the Institute of Public Safety. Day three: encouraged the community to visit the OER Faculty Resources created by SLCC’s Library Services. Day four: hosted the No-Cost/Low-Cost Open Education Week Celebration for students, faculty, and staff. Activities included; SLCC faculty authored project showcase, a team of key SLCC OER advocates participated in a panel discussion, and students, faculty, staff were encouraged to share their thoughts on white boards about OER. Day five: hosted an OPEN SLCC Appreciation Luncheon for faculty, staff, and administration involved in the success of OPEN SLCC. 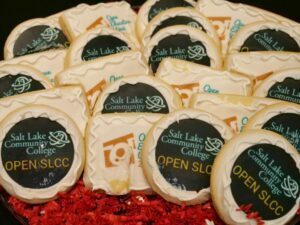 Jason Pickavance brought Open Education Week to a close by publishing a blog featuring the journey of SLCC’s OER initiative, “Reflections on OER at Salt Lake Community College.” And of course, there were OER cookies. Like SLCC’s OER Initiative, their cookies continue to evolve. Overall Open Education Week at Salt Lake Community College was a success and they can hardly wait to celebrate again in 2020. 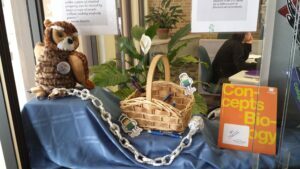 RCC invited students to celebrate Open Education Week at the RCC Library. 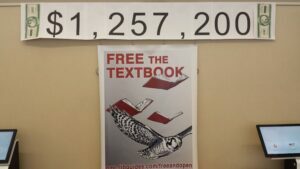 They were asked, “What would you spend money on, if you didn’t have to buy textbooks?” and posted their answers on the OER Wall. Faculty can visit the SAC OER webpage to identify their courses as no cost or OER. Faculty can identify if they created open or copyrighted materials, adopted or adapted existing open educational resources, or use open or copyrighted materials available through the library. 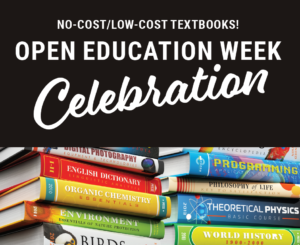 Students can visit the SAC OER webpage to thank faculty who have transitioned to no cost instructional materials or OER, making higher education more accessible and affordable for their students. On Monday SAC had an in-person event, Openly License Your Work Faculty Event. Faculty were invited to bring one of their assignments, a rubric, image, lecture video or lecture notes to learn how to add a Creative Commons license and share with other educators across the world. As part of their Open Pedagogy 2019 Webinar Series the Open Education Consortium (OEC) and the State University of New York (SUNY) Faculty Advisory Council on Teaching and Technology (FACT2) held 5 webinars for Open Education Week. Recordings of all of the webinars are available. There have been a number of exciting Open Pedagogy projects in the Humanities where students and faculty have collaborated to curate anthologies of materials. But how does this apply to STEM fields? Here I describe my experience working with my Geology students for the past two years, curating and customizing an open Geology text for our region. The Fashion History Timeline is an open-access source for fashion history knowledge, featuring objects and artworks from over a hundred museums and libraries that span the globe. Justine De Young, Assistant Professor in FIT’s History of Art department, is the project director and will discuss the evolution of the Timeline, integration of the project into courses at FIT, and the Timeline’s importance to the study of the history of fashion. Suzanne Wakim: OER, Distance Education, SLO Coordinator; Biology Faculty at Butte-Glenn Community College District, CA presented on how Universal design for learning (UDL) can help educators build online courses that are more accessible and flexible enough to engage a diverse group of students. Shinta Hernandez, Department Chair of Sociology, Anthropology, and Criminal Justice at Montgomery College, MD, spoke about a Montgomery College fellowship in which faculty created renewable assignments that required their students to become agents of change in the community. SUNY Geneseo held several in-person events on campus. For more information on all of these events view their OEWeek flyer. Each day of Open Education Week, a different person who participated in “Exploring Emerging Technologies for Lifelong Learning and Success (#EmTechMOOC)” shared something they learned from the EmTechMOOC with the College community.